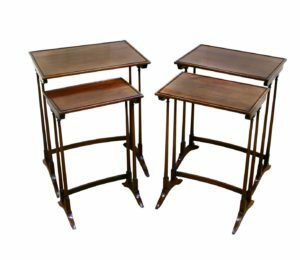 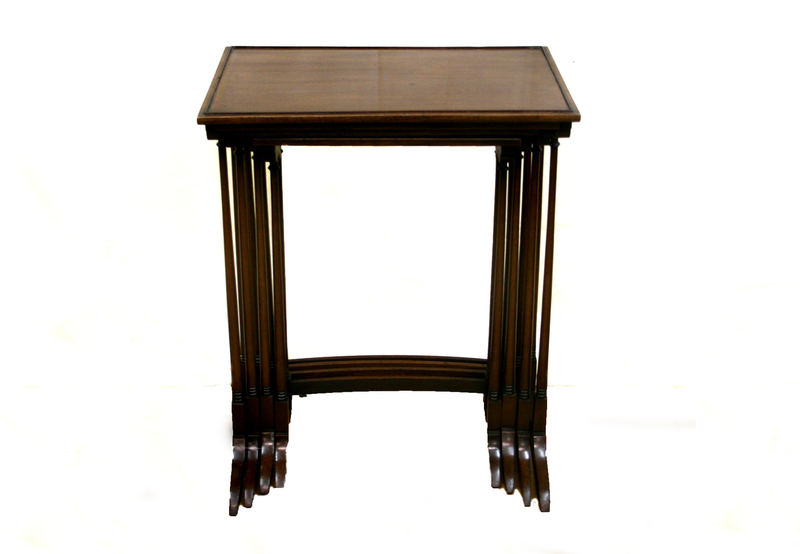 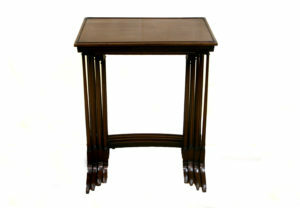 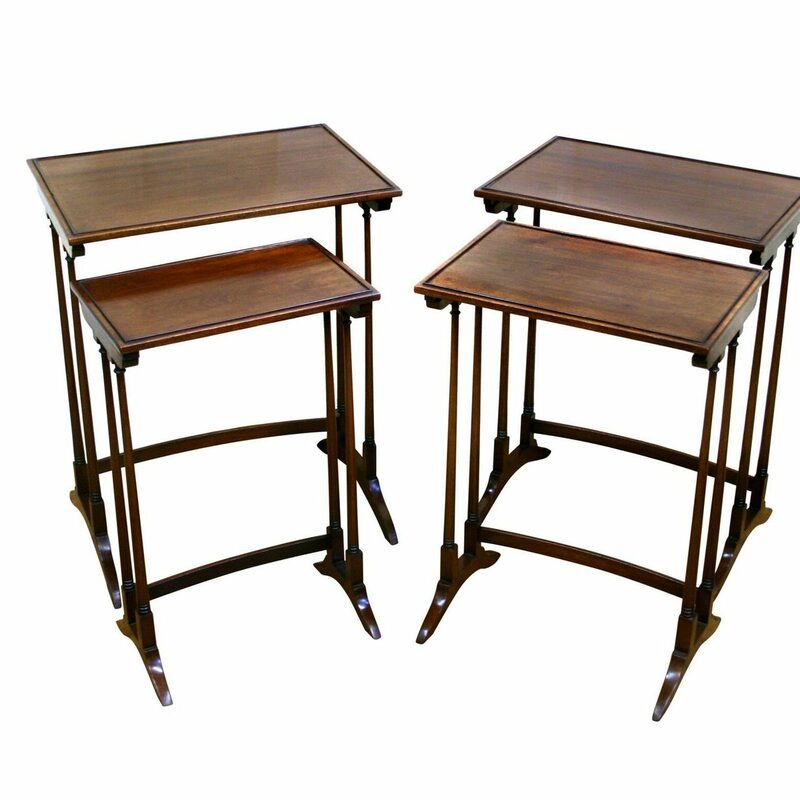 An Edwardian quartetto nest of mahogany tables. 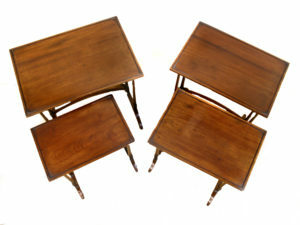 The have rectangular tops with a raised moulding. They are raised on finely turned columns on a plinth base with swept feet which are united by a curved stretcher rail.